GoodReads Summary: Hoping to strike it rich, two brothers escape an abusive father and set out on a treacherous journey to Alaska during the Klondike Gold Rush. What I Think: Fans of Kate Messner's Ranger in Time, The Magic Tree House series, Jennifer Holm's My Only May Amelia, and Kirby Larson's Hattie Big Sky will enjoy this middle grade novel from Caroline Starr Rose. It's historical fiction that's full of adventure. I loved the characters and was rooting for them right from the first chapter. Jasper especially has heart and grit and I'm sure readers are going to want to follow him along on his journey as much as I did. As a mentor text, boy does this book have lots of voice. Every character has so much essence. That might be a strange way to explain it but it's as thought their essence is so evident in how they act but definitely in their dialogue. 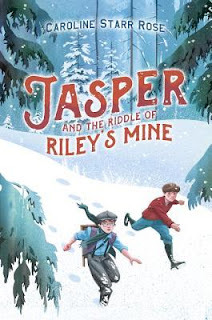 Reading Jasper and The Riddle of Riley's Mine is an opportunity to think about how dialogue tells us so much about a character. If you read, you'll see that Caroline mentions how important setting and character are to her stories and it is so clear that she has a very solid idea of who her characters are and that makes a huge impact on the story as it unfolds. to share her creative writing process with us! Authors love to classify their approach to writing in one of two ways. They’re either Plotters — people who plan the structure and plot of a story through outlines, or Pantsters — writers who figure things out as they go, flying by the seats of their pants. I’m a little of both. (When I mentioned this during a school visit a few years back, a student promptly dubbed me a Plotster, which suits me fine). 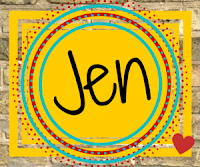 As I begin with a new idea, I need a strong sense of my setting (which, because I write historical fiction, is grounded in a lot of research), and a good grasp on my main character. From there, it’s an experiment. I like to imagine tossing my character into the setting and watching what happens. Conflict of some sort is certain to emerge. In Jasper and the Riddle of Riley’s Mine, placing my eleven-year-old main character in a harrowing 2,000-mile journey to Canada’s Yukon Territory meant plenty of opportunities for conflict. I knew Jasper would face physical challenges, such as hunger, sore muscles from miles of walking, and the constant threat of the fast-approaching winter. These physical challenges would influence his emotional state. Maybe some days he’d be excited and other days he’d wonder why he’d jumped into such an impossible feat. This led me to wonder how the largely-adult crowd heading to the Klondike would treat Jasper and how he would respond. From there, I feel around for turning points in the at-this-point hazy plot. Going into Jasper, I knew he’d followed his older brother, Melvin, on the journey to the Klondike. At some point he would have to be found out. I also knew I wanted this book to have a sense of mystery, one that involved an abandoned mine worth millions that was free to the first person who could find it. Though I had no specifics when I started, I knew figuring out these two things would be key. What I’m beginning to learn about writing books is that if I show up enough times, I start to run out of mistakes to make. But of course not all at once. That would be too easy. Discovery and exploration, mistakes and wrong turns. The desire to keep moving forward. That sums up my writing process. Rather than fight against it, I’m learning to respect the mystery. Which you can gently remind me of tomorrow or the next day. "Discovery and exploration, mistakes and wrong turns. The desire to keep moving forward." Be sure to check out the other stops on the blog tour!